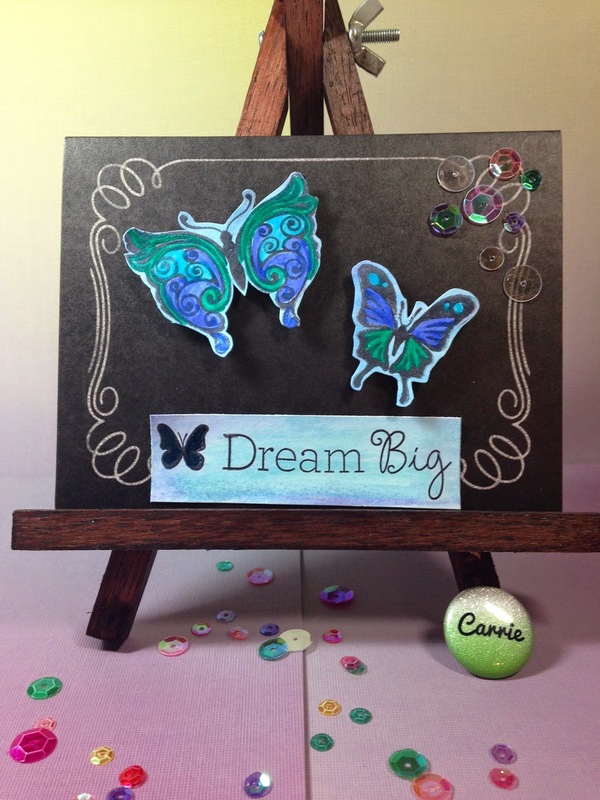 Cutting into Monday: A Silhouette card tutorial. Happy Monday! Have your little ones started summer vacation yet? Today is our first “official” summer vacation day. 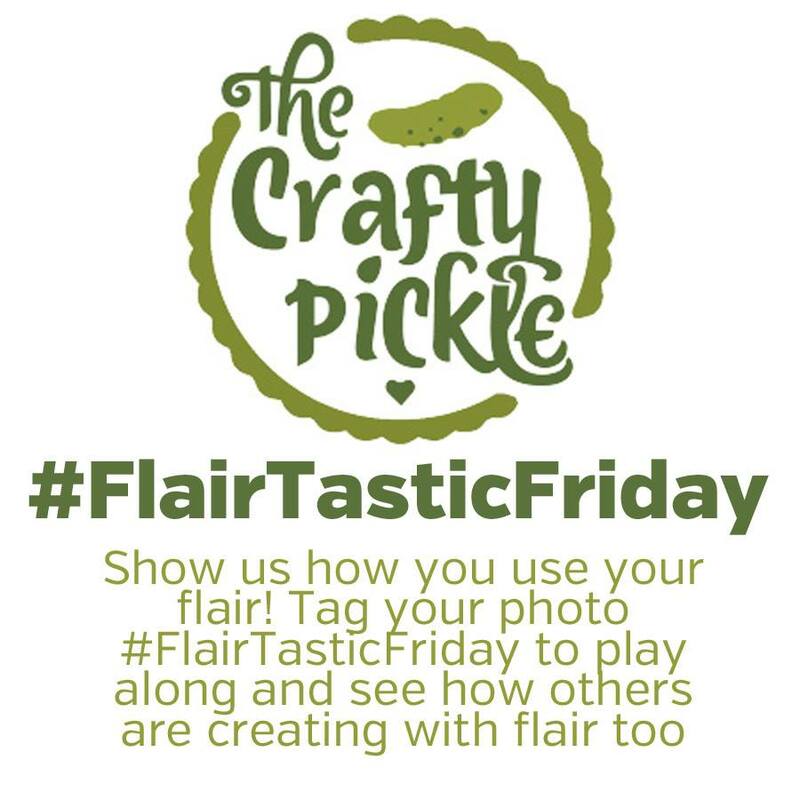 With a bit more time on my hands (not playing taxi service and homework police for a few months) It is my goal to share more tutorials, fun projects, and some great giveaways on TheCraftyPickle. I hope you will join me on a summer scrappy adventure! We are going to have a great time! Don’t forget that my giveaway is going on though this week. 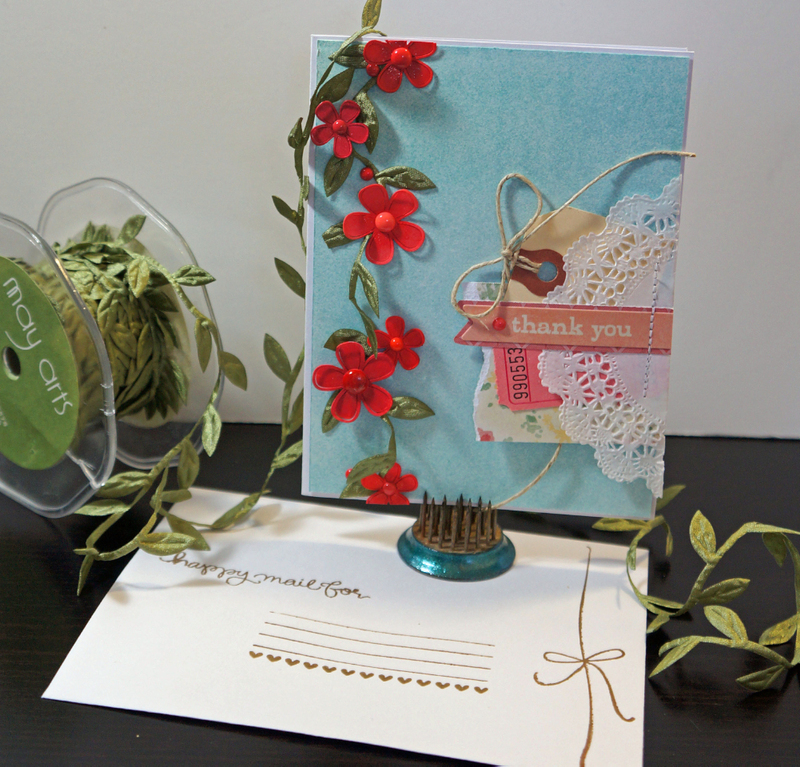 Subscribe to my blog and leave a comment for a chance to win a great project life kit in an adorable box. 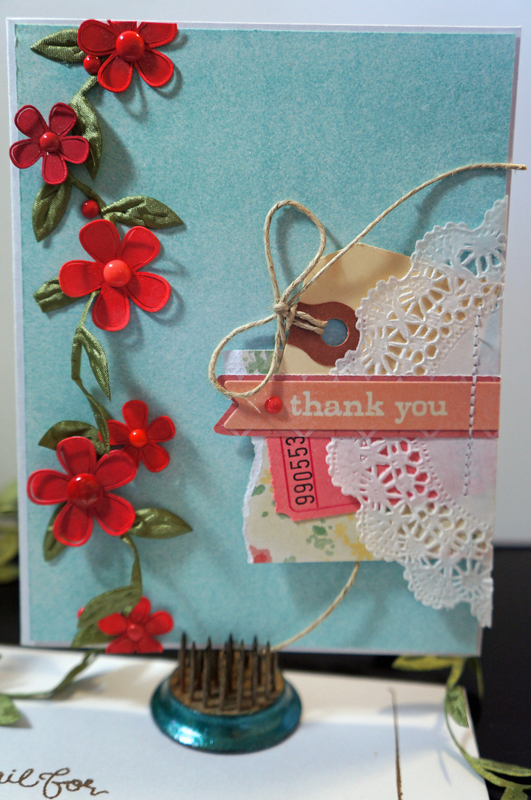 For today’s tutorial I thought it would be nice to start with a simple yet beautiful card project. 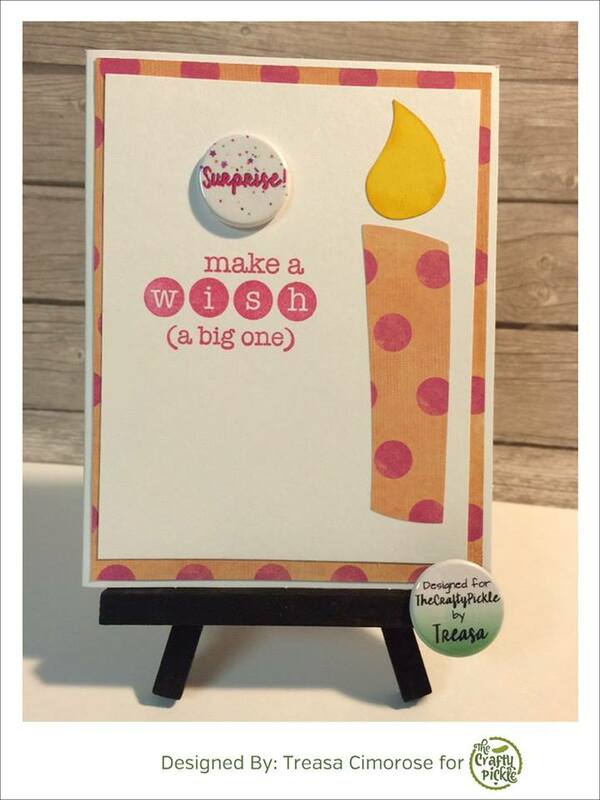 This card is so versatile you can use to for nearly anything from birthday, sympathy, just because, or thank you as I did for my card example below. 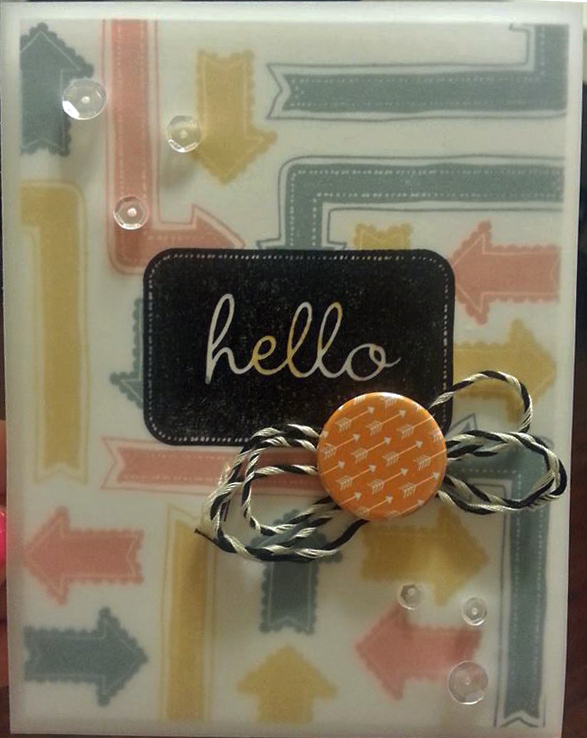 Here is what the finished card looks like. 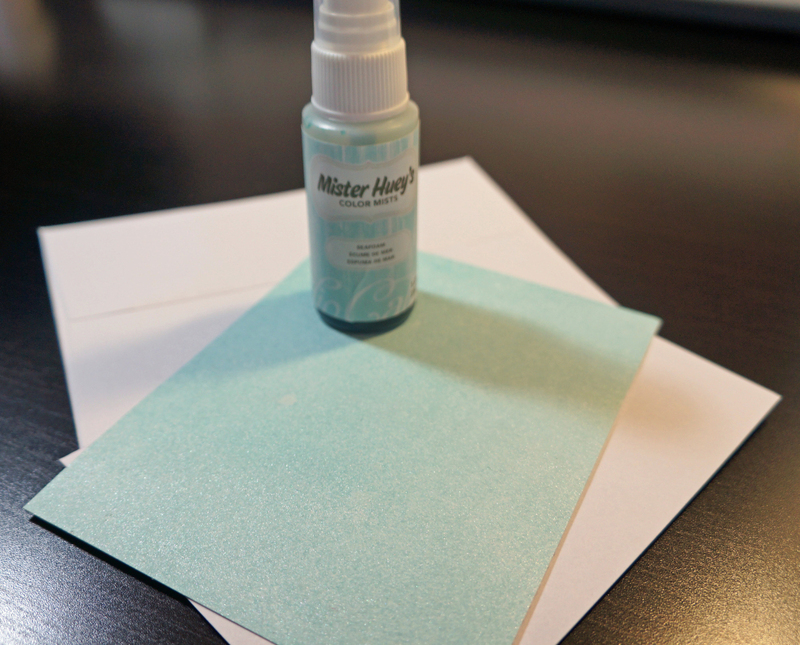 Alcohol based markers (Copic, Sharpie, Mark-it’s, etc) or watercolors if using white cardstock for your die cuts. Ok to get started cut your card to 8 3/4 x 5 5/8 (score in the middle) and then cut your card base to 4 1/4 x 5 1/2. 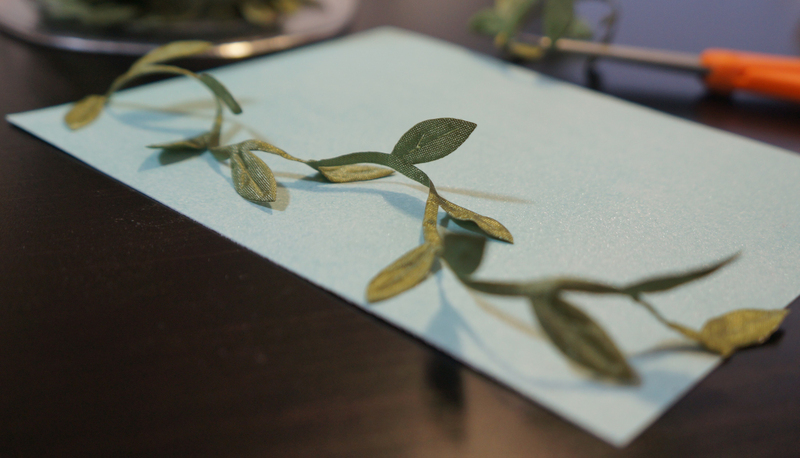 I chose to mist my cardstock and let dry before trimming my card base. It’s just a matter of preference. If you haven’t already mist your card base and let dry. Set your card aside until the end. While your ink is drying go ahead and prep everything else. 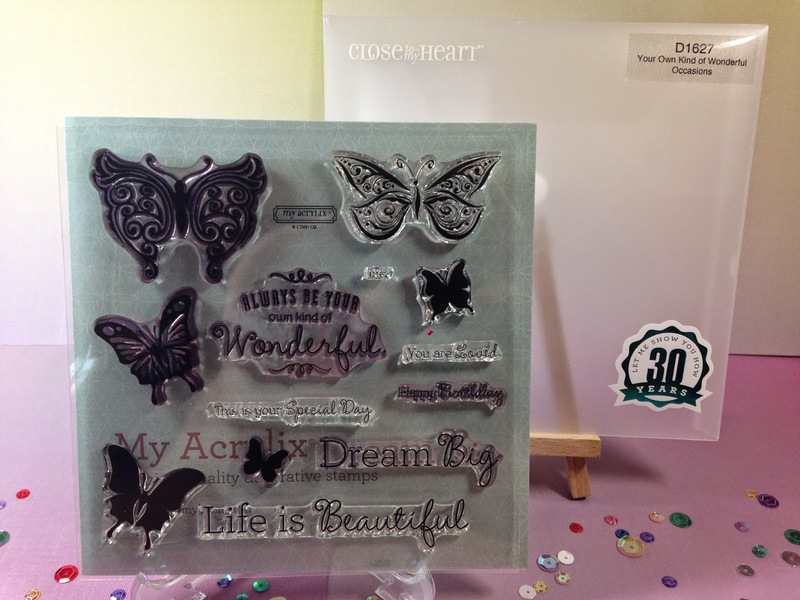 Cut out your flower of choice on your die cut machine. I took one flower that I liked and made a bunch of copies of that flower on my silhouette software workspace, I then resized them in three different sizes to add variation and interest. So go ahead and grab your markers, bring out your inner 10 year old and color away! I love coloring and having die cuts pre cut in white really speeds things up for me as I can make it any color I want. Be careful if you have chosen to use a water base marker as they can be streaky and can make your paper pill up. You could watercolor these as well for a soft beautiful look. I really wanted my flowers to pop and be the main focus so I chose shades of pink and red copic markers this time. 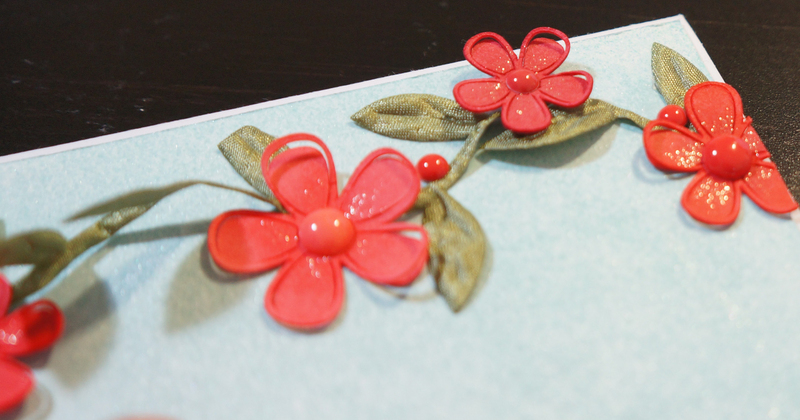 Once colored and dried (doesn’t take long) attach your enamel dot (or other bling if desired) in the center of each flower. 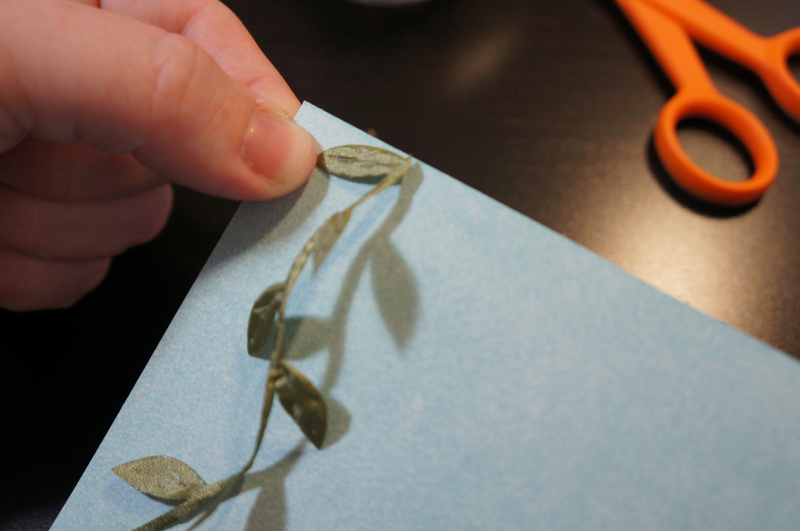 Next, take your length of the May Arts leaf ribbon trim and attach a glue dot or other dry adhesive of choice to the top leaf. 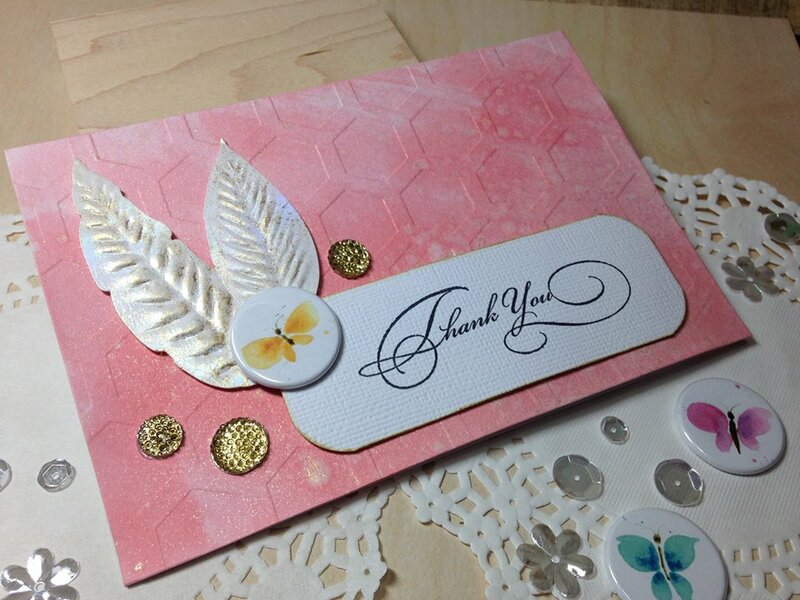 and attach that to the top left corner of your card base. What I did from here was let the vine twist and turn in a natural fashion attaching a mini glue dot on every 3rd or 4th leaf. I did not want the leaves to all lay flat. Once finished trim off excess trim and make sure the ends are secure. 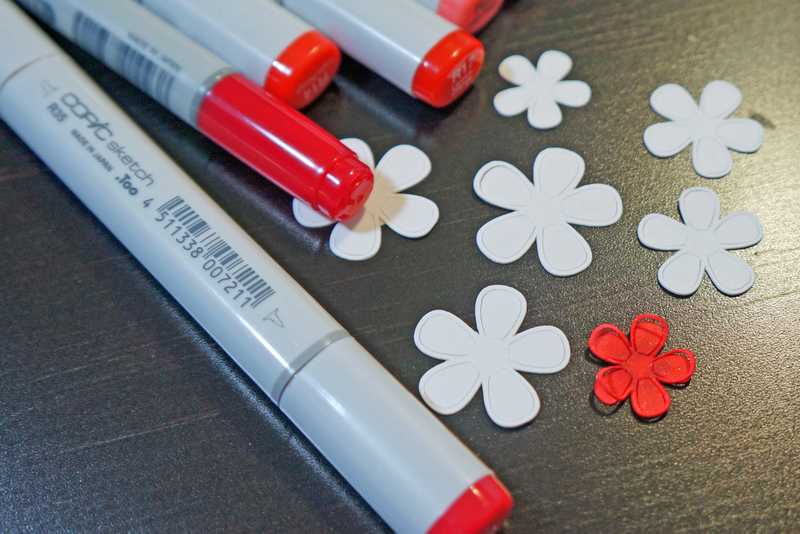 Now that your vine is done dig in your stash of little bits of paper fun. Pull out things to layer that you love. 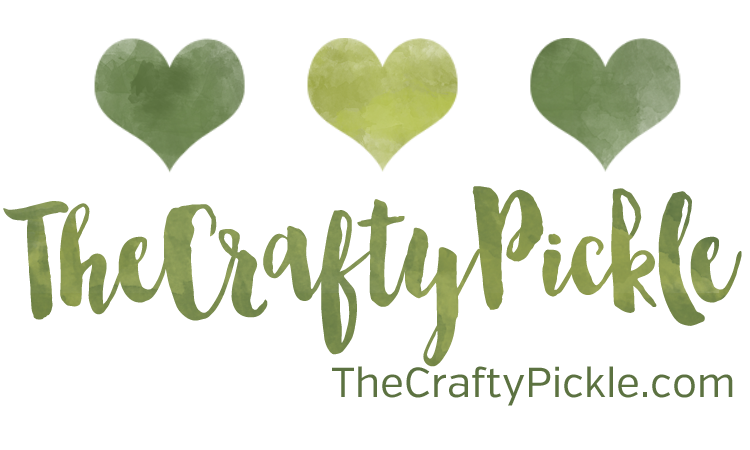 Its a great time to see what kinds of scraps you have laying around. Cluster together in a way that looks good to you, tie your twine in a bow to your tag and add that in too. Fold over a doily on top, covering only half of your cluster and adjust if needed. Once you are happy with the look take the doily off and add adhesive to hold it together. I just added one small staple with my mini attacher. Go ahead then and attach your doily and sentiment on top. I took my doily and my sentiment and added a tiny bit of adhesive to just hold it in place. I took the card base to my sewing machine and just sewed the layers together. This step is completely optional. 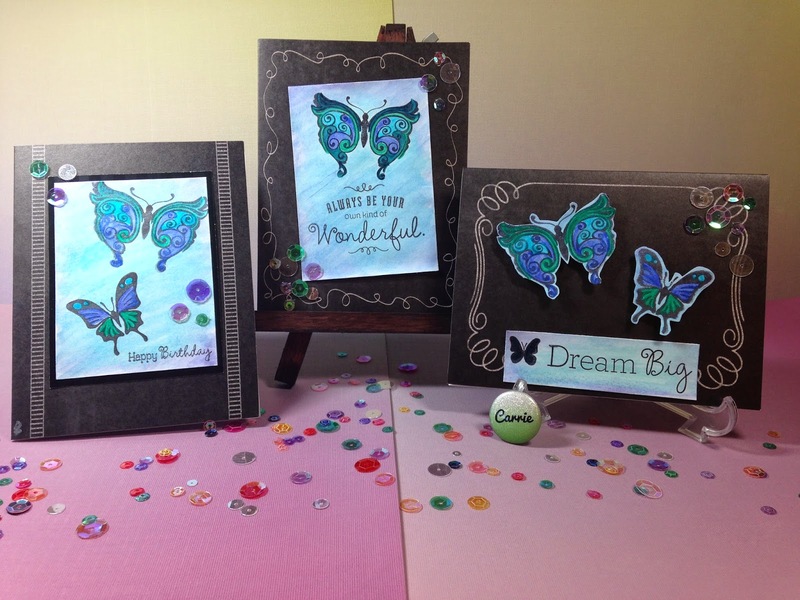 Finally attach your card base to the card itself and admire your beautiful card and think of someone special you are going to send it to. Here is another look at the finished card. 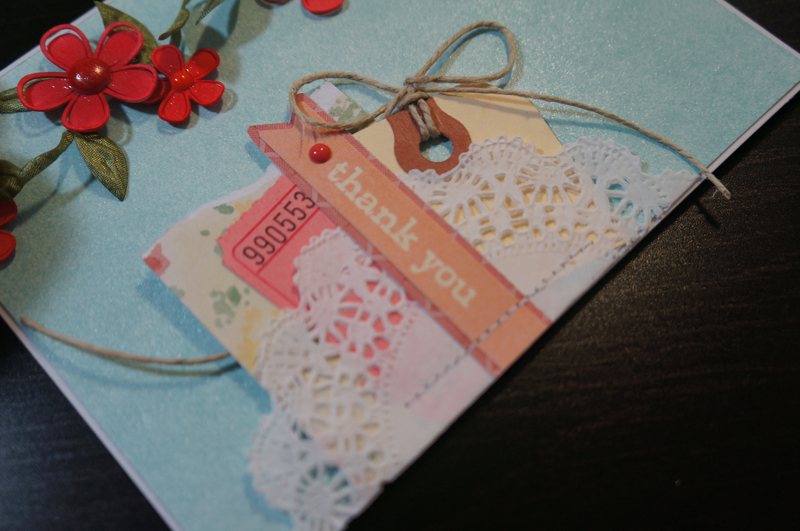 I also stamped the envelope with a cute stamp set made with the envelope in mind. You can find that stamp set here. How simple and fun was that? And the results are beautiful and look far more complicated than it really was. 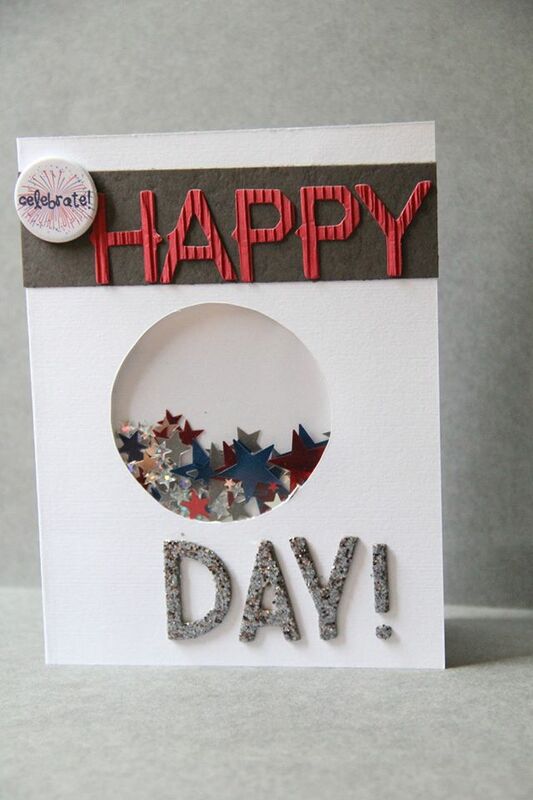 I hope you enjoyed this tutorial and if you decide to make a card of your own like the one shown, please link it in the comments, I would LOVE to see your work!